Founder and director of Danang Foundation, Tsewang Rinpoche, spared no effort in the dissemination of authentic teachings. 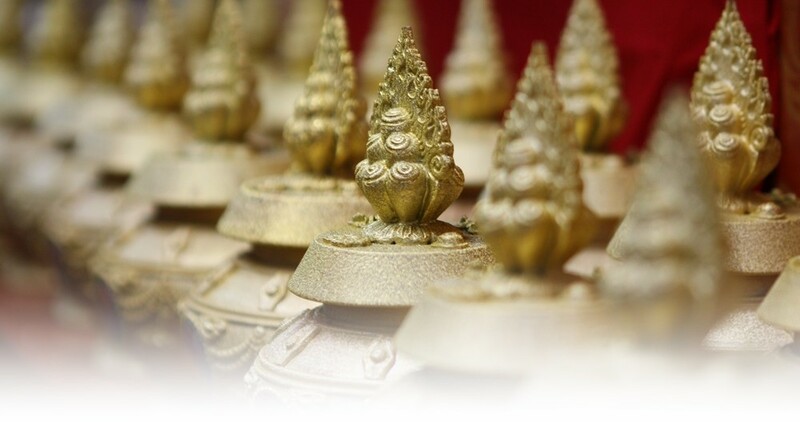 Tibetan Buddhist Center – which was established under the auspices of the Foundation, regularly conducts Buddhist classes that cover the Buddha’s teachings of the three vehicles, and frequently invites Buddhist masters to instruct disciples in the practice of hearing, contemplation and meditation. Last August, Tsewang Rinpoche requested for and received consent for instructions and blessings from His Holiness the Sakya Trizin. May Buddhist practitioners, and especially those in the Vehicle of the Secret Mantra cherish this rare opportunity, and join us for the empowerment and teachings. The occasion will surely dispel negativities and bring about conducive conditions on one’s path of practice. His Holiness the Sakya Trizin was born in 1945, in Tibet. At the age of 8, he began to receive instructions from great masters in the supreme Sakya lineage. At 14, he was formally enthroned as the 41st Sakya Trizin. He has received teachings and transmissions from other precious lineages, and completed retreats for the primary and secondary deities of the Sakya lineage. In addition, he has also completed retreats for Hevajra (a particularly long practice), Vajrakilaya and Mahavairochana. Fluent in English, His Holiness has been spreading the Dharma for many years, tirelessly teaching with wisdom and compassion all over the world. On this occasion, His Holiness will confer the empowerment of the Four-Arm Vajrapani Bhutadamara, which is an extraordinary practice within the Sakya lineage, belonging in the category of Anuttarayoga Tantra. Bhutadamara Vajrapani is one of the nine manifestations of Vajrapani. He expresses the Four Immeasurables with his four arms, and is wrathful to subdue and dispel obstacles of evil and negativities. An aide to Amitabha Buddha in the liberation of beings, Vajrapani is master among all the Dharmaphala practices, averting disasters for beings, increasing the activities of pacifying, enriching, magnetizing, and subjugating, fulfilling aspirations for fortune and longevity and other wishes, to mature beings into fruition and accomplishments. These four lines express the abandonment of non-virtue in the beginning, and then the progress onto the practice virtue. With the recognition that the nature of cyclic existence is both suffering and impermanent, one proceeds to understand the proper motivation behind the seeking of liberation and the method to do so. The last line of the stanza inspires that calm-abiding and insight meditation are antidotes to the grasping of all phenomena as permanent, and as a result of this understanding, one attains realizations. Danang Foundation has devoted much effort and resources to ensure that this occasion will be a smooth and beneficial one. We sincerely invite all to join us. May you always be blessed by the three jewels!